March 5th at 5:40am was when it hit my inbox. "I oversee brand content strategy at Four Seasons Hotels and Resorts,"
That was the first email I got from Cara. It was a week before our talk, ‘Storytelling Has Become a Buzzword’, at SXSW. And here was the brand manager for a company like Four Seasons emailing little ol’ us saying they were excited for our session AND that they wanted to meet. I tried to play it cool. Make it seem like this was no big deal and that I got emails like this every Tuesday. But the truth is, I Slacked the whole team about the email. “Sure, I can make time." So I met up with Cara in the backyard of the Four Seasons in Austin, Texas. She shared about their founder, and I dove into some nerdy talk about Narrative Transportation. It must have worked, because here we are 8 months later with the incredible privilege of helping Four Seasons launch the opportunity of a lifetime for creators. It’s a partnership with artists of all types where they can experience the world with Four Seasons. Most people don’t know that beyond the walls of their hotels, Four Seasons curates the world’s best experiences. For reals. The. Best. 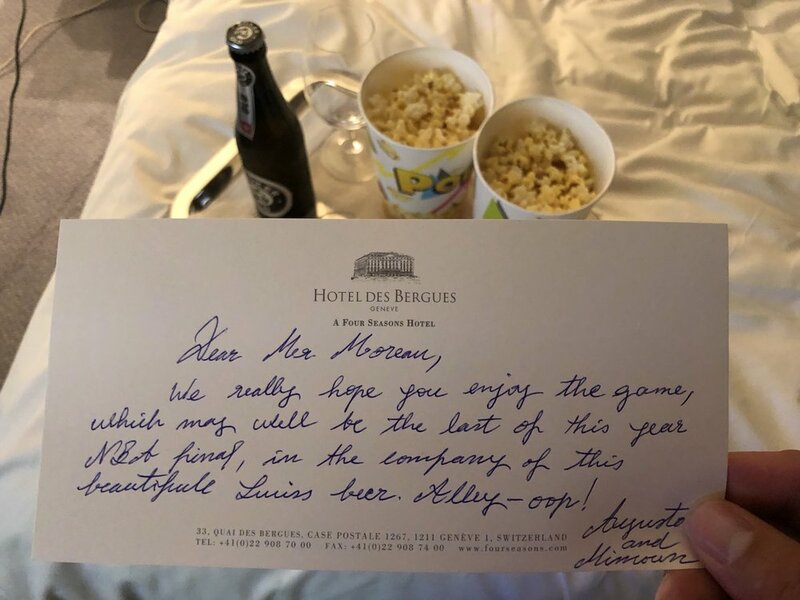 I’m talking it’s midnight in Geneva and I call concierge asking to watch the NBA finals and they not only hook up a laptop with a live feed to the game, but they surprise me with beer, popcorn, and a handwritten note. But beyond the hotel, Four Seasons also curates experiences where you can immerse yourself in the local culture, landscape, and activities unlike any other. And Envoy by Four Seasons is the chance to apply for a once-in-a-lifetime opportunity to experience the world in an unparalleled way: The Four Seasons way. All expenses paid travel and accommodations to a Four Seasons property in some of the most exclusive locations in the world. Curated experiences where you become immersed in the local culture. In exchange, the ask is simple. Whatever your art form is, use your experience to inspire your next piece. 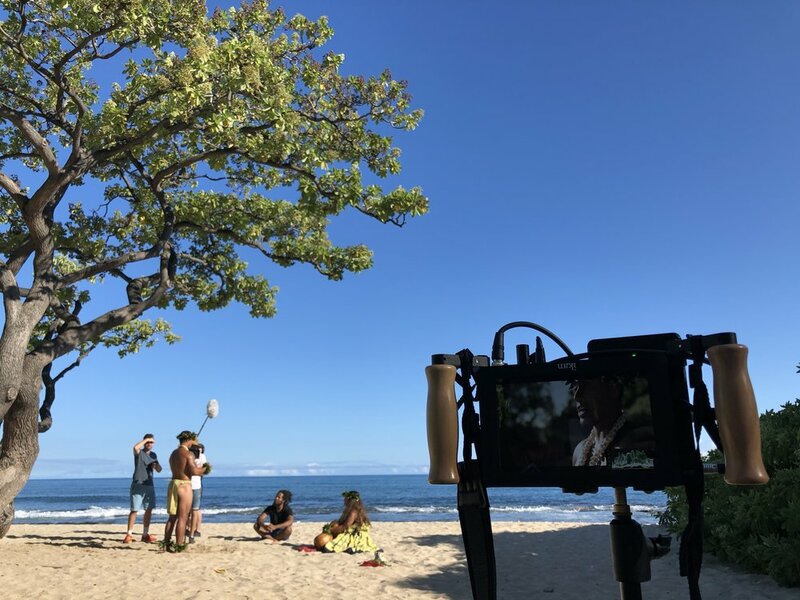 The Muse team will document the whole process, and together we can show people the power of storytelling. Here’s the truth: Life has become so busy that we rarely take time to stop, to breathe, to truly be present. Envoy is that opportunity to experience the world in a deeper and richer way than ever before. With that, it’s with great pride that I share the launch film that Muse created with Four Seasons and our long-time friend Marshall Davis Jones. Huge thanks to Muse community members Fernando Vilanova, Stephan Boeker, Braden Dragomir, Taylor Leeder, and Nick Kallman for their support on this film. Now, if you or somebody you know would be a good fit for Envoy, you can read the full press release right here, or dive right into the application here. I must say, it is so rad to get mentioned in an official press release by such an amazing brand like Four Seasons. We’re looking to announce the first round of Envoys in January! What Does Exponential Growth Really Look Like?